Here are poems of modern day survival, set in Los Angeles. The woman of the title (from a story by Mary Austin) provides an image for the poet of one who "came and went about our western world," establishing a saving relationship with the land. The urban poet grapples with the themes of her life: her dying father, never able to use his teaching credentials; her own adjunct teaching position in the L.A. community college system, full of overcrowding, layoffs, and her beautiful immigrant students; the South Central riots, a forest fire, a flood, and an earthquake complicating her labors; her friend a woman climber who dies of a heart attack in the emergency room; her improbable lover who brings plants and flowers, beer and confusion; and always the return to the land. 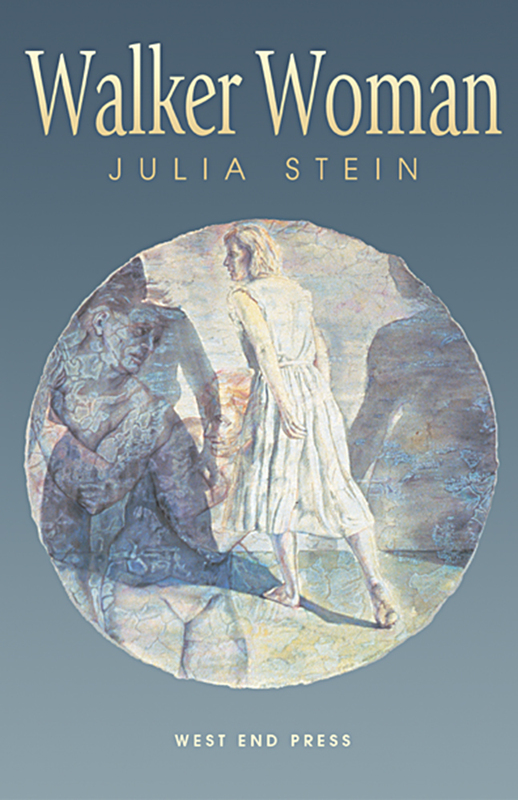 Julia Stein was born in Pittsburgh and raised in Los Angeles. A graduate of the University of California at Irvine, she has taught college in Los Angeles for many years. She has published two prior books of poetry; 130 poems in magazines and journals; and articles and interviews on women’s, multicultural, and working-class literature in the U.S.